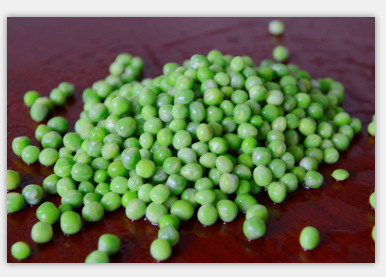 Product categories of Frozen Green Peas, we are specialized manufacturers from China, Frozen Green Peas, Green Peas Ifq suppliers/factory, wholesale high-quality products of Wholesale Frozen Green Peas R & D and manufacturing, we have the perfect after-sales service and technical support. Look forward to your cooperation! Green Peas, According to the color of their cotyledons, Peas are divided into two types: green skin, green peas, and green skin yellow peas. Green peas are green-green peas. Peas in northeast China are the most famous. It is one of China's important food crops. It has a history of 5,000 years of cultivation. Our company can provide two different frozen peas to meet the needs of different people. Daily green peas can provide catechins and epicatechins as two kinds of flavonoid antioxidants. When people get older, there will be more and more free radicals in the body. Free radicals and aging are positively related. Nutrition in green beans can resist. Free radical-induced diseases, delaying the speed of body aging, as well as anti-inflammatory, spectral antibacterial effects. [Appropriate population] Green peas are suitable for menopausal women, diabetes and cardiovascular patients, and mental workers and dieters are also very suitable for eating green Peas. These people can eat green beans to improve disease and physical condition. [Contrained people] People with severe liver disease, peptic ulcer, arteriosclerosis, kidney disease, gout, low iodine and other diseases are not to eat green peas, so as not to aggravate the condition.